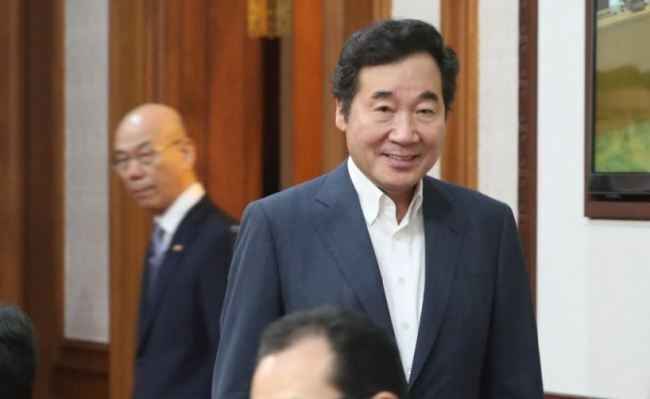 South Korean Prime Minister Lee Nak-yon will visit three northwestern African countries next week in a bid to strengthen bilateral economic cooperation, his office said Thursday. Lee will leave for a seven-day trip on Sunday that will take him to Algeria, Tunisia and Morocco in the Maghreb region. It will be the first time for a South Korean prime minister to make an official trip to Algeria and Tunisia, countries that lie at a strategic point linking Europe, Africa and the Middle East. In 2014, then Prime Minister Chung Hong-won visited Morocco. The trip is aimed at promoting economic ties with the three nations, especially for Korean companies with businesses there, according to Lee's office. Lee will arrive in Algeria on Sunday for a meeting with his counterpart Ahmed Ouyahia to discuss ways to deepen strategic partnerships between the two sides. He will also request the Algerian government's support for Korean firms hoping to take part in its construction and infrastructure projects. During his trip to Tunisia from Tuesday to Dec. 20, Lee plans to meet with Tunisian President Beji Caid Essebsi and other ranking officials. Lee will meet with Morocco's prime minister, Saadeddine Othmani, when he visits Morocco from Dec. 20-22.